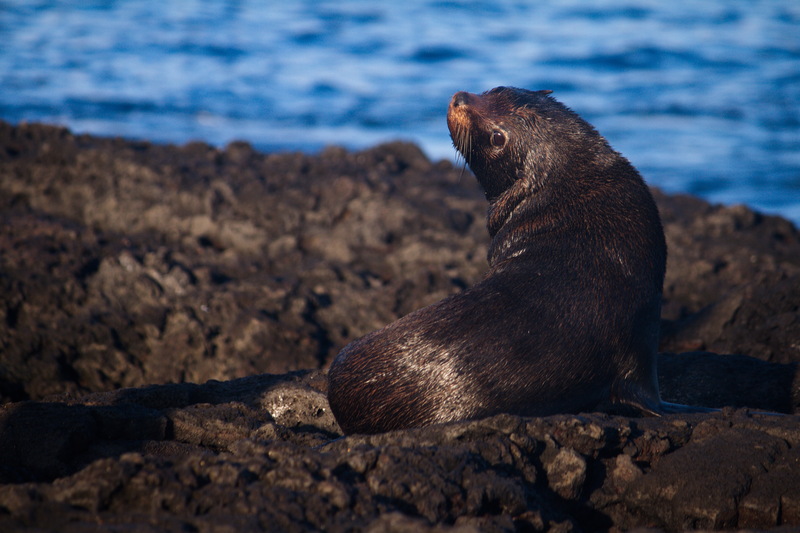 In a place as remote as the Galapagos Islands, I expected to encounter a pristine wild habitat, nearly unspoiled by human activity. 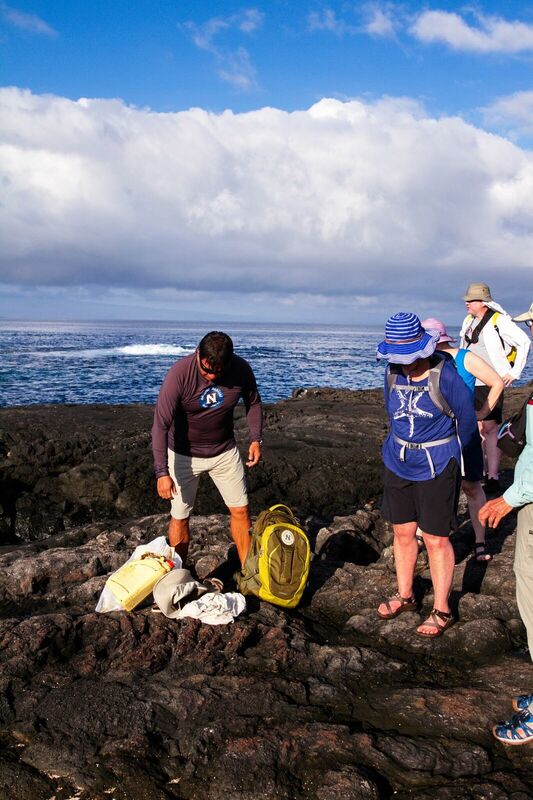 I was rewarded with such an experience, snorkeling with dozens of sea turtles in Tagus Cove and hiking among volcanic tuff cones on Isabela Island. However, the lava grottos on Santiago Island (also known as James Island) changed my perspective. 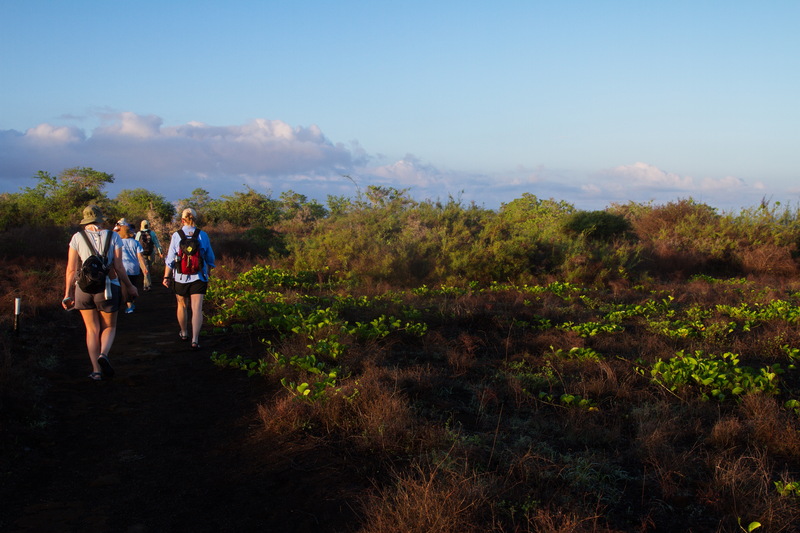 We arrived on the island just as the sun was coming up, and the island was teeming with life. 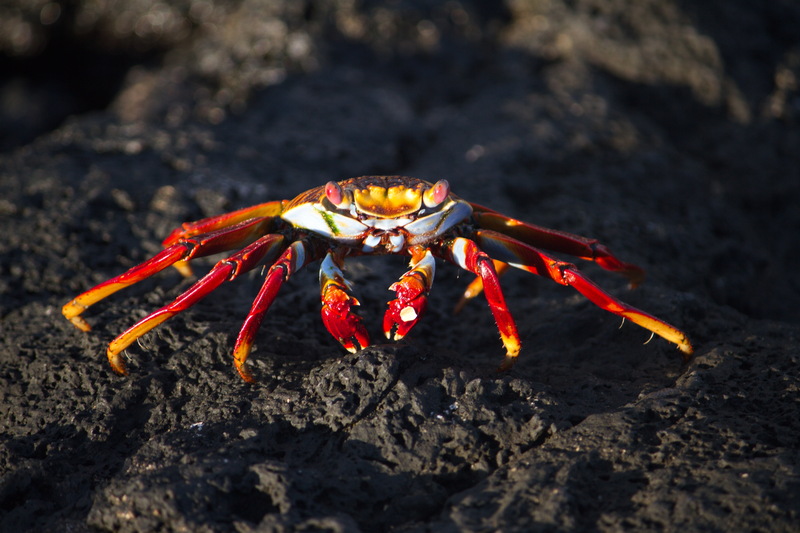 Marine iguanas warmed themselves on the black beach, Sally Lightfoot crabs snuck across the eroded rock formations, and pelicans plunged into the ocean seeking breakfast. We came to the lava grottos, which are hollowed-out spaces under our feet where lava once flowed but is now replaced by the rushing ocean. In the tubes were sea lions splashing in the ebb and flow of the tide, alongside plastic bags, bottle caps, and other unidentifiable plastic trash. 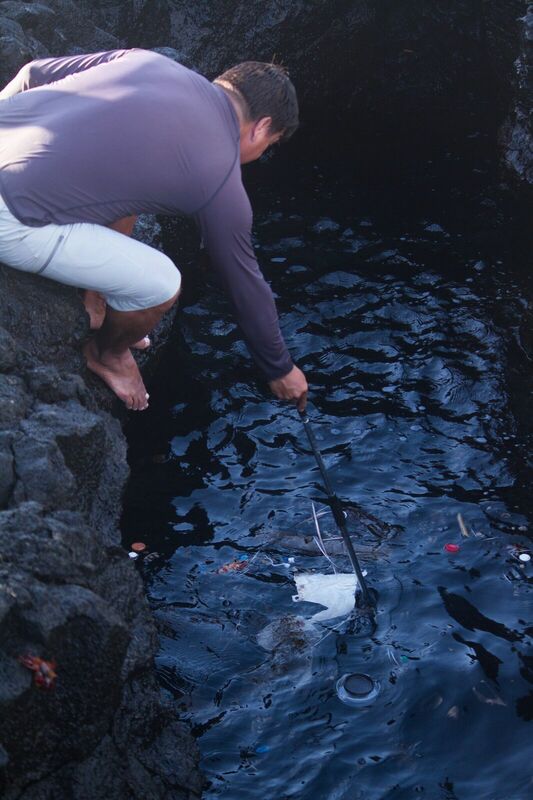 Santiago Moran, my NatHab Expedition Leader, explained that floating rubbish often gets trapped in the grottos as the tide flows in; some of the trash comes from the mainland, over 600 miles away. 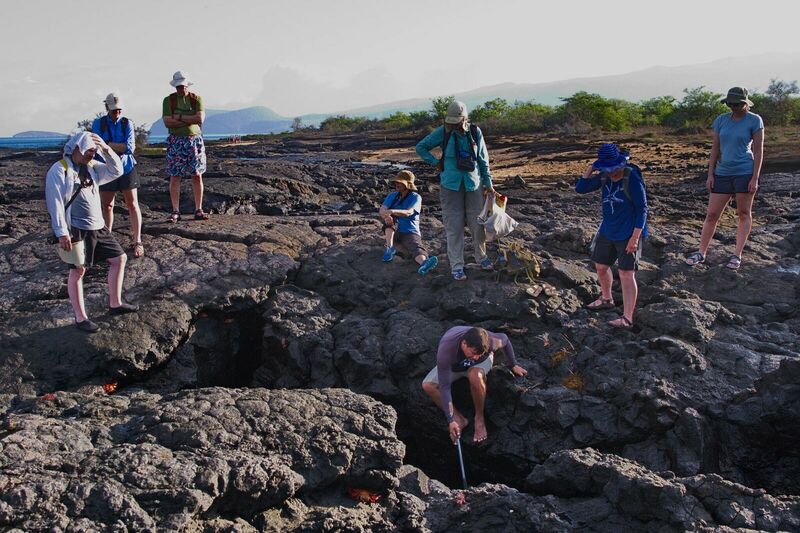 What Santiago did next surprised me: He jumped in the lava tube! 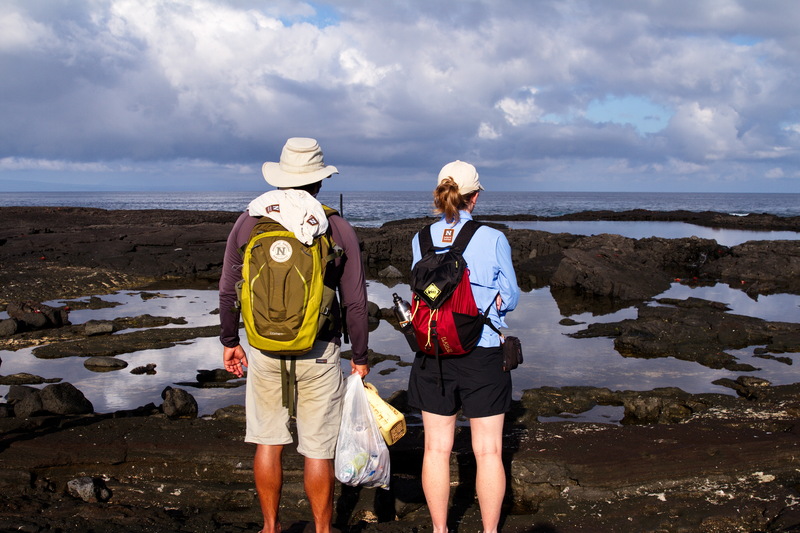 Santiago’s job goes beyond educating travelers about the islands and leading tours; he’s also responsible for the park itself, from reporting weekly on the condition of the islands and its trails to maintaining a healthy place for wildlife within the park boundaries. 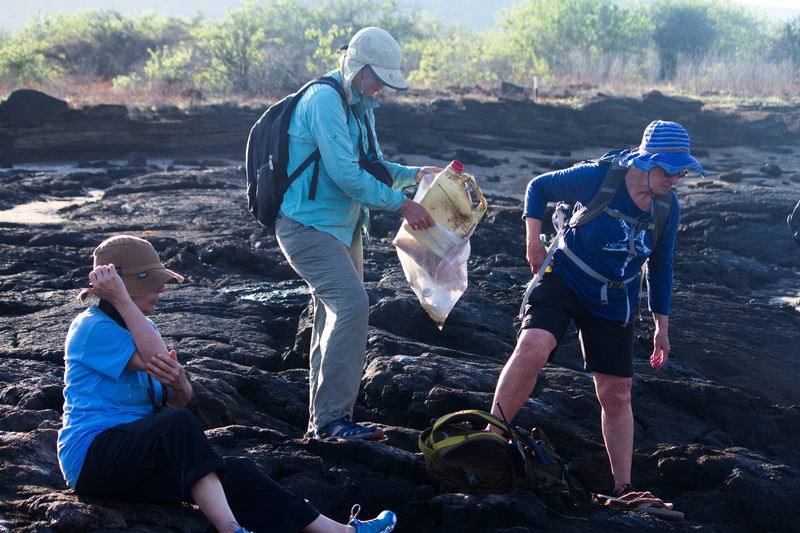 He’s not only a NatHab Expedition Leader; he’s also a Galapagos National Park naturalist. Swimming next to a small raft of sea lions, Santiago gathered every piece of plastic he could find. As soon as he finished, we found another nearby tube that was filled with even more trash. Unfortunately this one was too dangerous for Santiago to swim in, as it was very narrow and the current was extremely powerful. So our group got creative. Tying a hat to the end of a walking stick, my fellow travelers and I helped Santiago fashion a “fishing bucket” that he could dip into the water to collect the floating debris. It worked! After 20 minutes, Santiago had successfully gathered up all the trash. We cheered with excitement, feeling the glow that we had helped do a good deed for the wildlife and this very special place. “Santiago, you’re a hero!” exclaimed one of my fellow travelers. Seems like nowhere is safe from marine debris.Infornative post. Something not thought of when going to such wild places – our human footprint ever present in floating debris. Good to see people working to rid the ecosystem of junk.